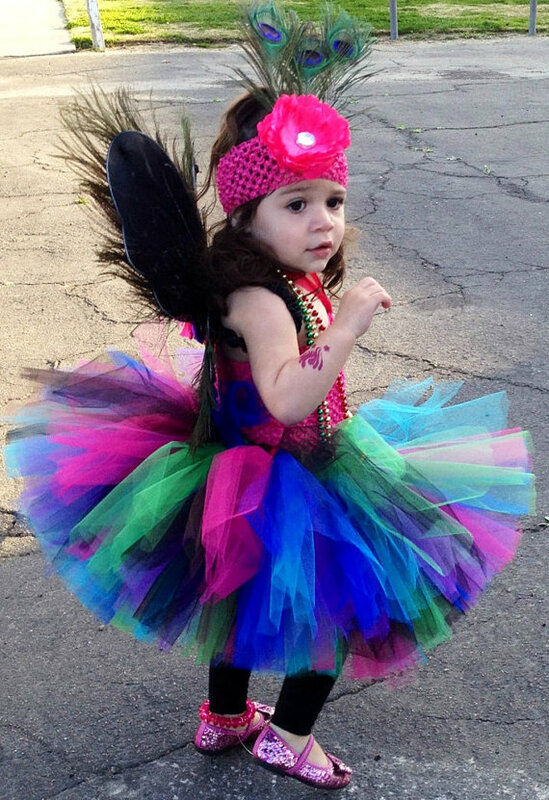 Our peacock birthday tutu set is a colorful tutu set, with real peacock feathers, in vibrant jewel tulle... 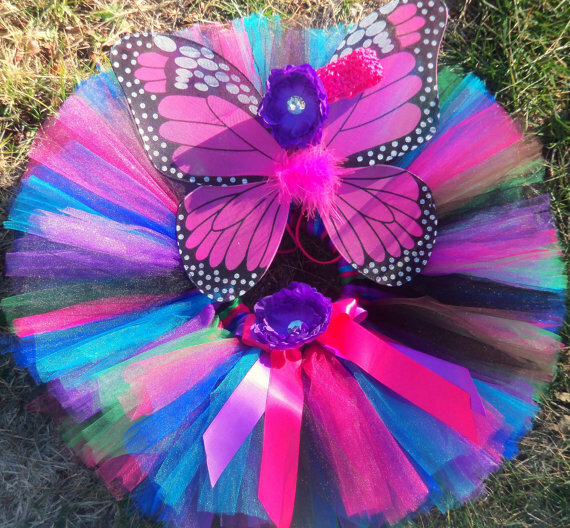 It includes a custom made tutu in sizes baby-6x, crochet top, headband, and wings. The tutu is made with 100% nylon premium quality wedding tulle, and it has close to 100 yards of fabric. We sew our tutus on an elastic waist band so they can stretch another 5 inches or so, and they can be worn for a couple of years. Our tutus are very full and fluffy because we use the maximum amount of material that the waistband will accommodate. 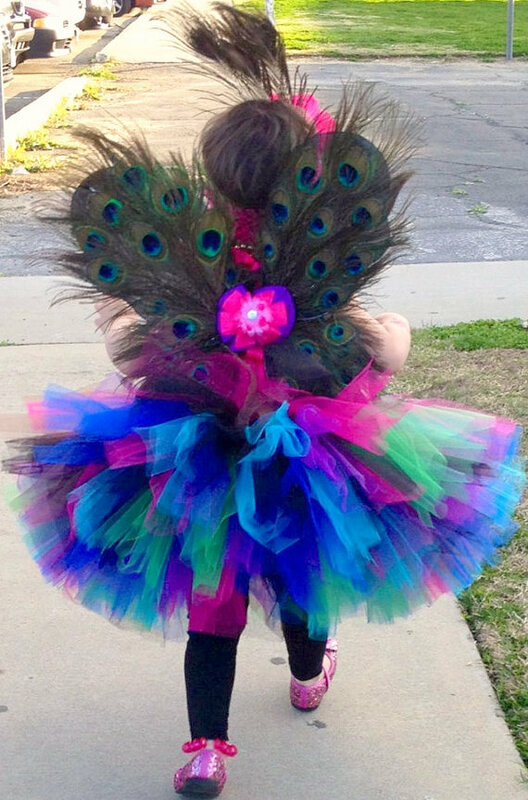 The tutu features a bright purple-pink satin bow, topped with a flower with rhinestone, and peacock feathers around the flower. The wings are also embellished with real peacock feathers, and match the tutu colors perfectly. These wings are more suitable for children over 3 years of age, please supervise at all times...The headband is crochet, with a bright flower, that is also decorated with peacock feathers, to complete the outfit.